Adventures in Astronomy Around and Above New Zealand. We are fortunate to engage Dr Ian Griffin, Director of Otago Museum, for a free talk on Astronomy at the bookshop. 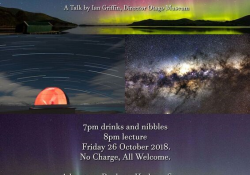 He’s an inspiring, knowledgeable speaker and we look forward to hearing more about the Museum and Planetarium in Dunedin, stargazing and Aurora hunting in our area. There will be announcements on an upcoming evening, Friday 26 October, about Oamaru’s Observatory by our local astronomer Damien McNamara. We’re lucky to have Dark Sky Reserves here in Otago and South Island, Mount John Observatory near Tekapo, another Planetarium at Mount Cook Hermitage and plenty to see in the Southern night skies. Aurora postcards with photos of those magical displays taken from Oamaru will be available, and space exploration news will be talking points at the evening event. It is always fun to learn from others, and all of our Slide Night talks end up expanding our conversations along with our sense of wonder. 50 seats only. Reservations essential. This workshop will cover the basics of 3D modelling for absolute beginners, and is directed toward people who are interested in 3D art and don’t know where to start, or beginners that have a little experience, but want to learn more. Recommended for adults and young people aged 16 years and over. All sessions are from 1-3pm. In this session, Daniel will outline his journey into Concept Art and will show you how to get started on your own path. You will be able to have a go at creating a 2D character in this workshop. Equipment supplied. Recommended for adults and young people aged 16 years and over. All sessions are from 11am-12pm. The Concept Art – Business & Career sessions will delve deeper into the industry of Digital art, and will be $15 per person. This combination talk and workshop will cover the basics of everyday online safety, and is suitable for all ages and stages. You are invited to bring your questions and your laptop for the hands on part of the workshop. Recommended for adults and young people aged 16 years and over. All sessions are from 2-3pm. Presented by Peter Gee from Geecom – Prebbleton I.T. Free. Please book on the eventbrite event to ensure your seat. 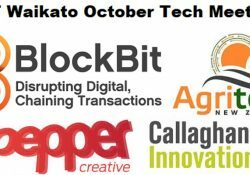 Tech Month Workshops at Selwyn District Libraries. Premiere screening of Geek Girls a documentary film by Gina Hara. The hidden half of nerd culture. 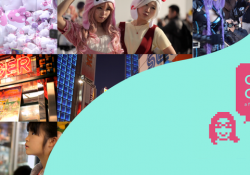 Geek Girls is the first feature-length documentary exploring the hidden half of fan culture: nerdy women. Although geeky communities have recently risen to prominence as major cultural contributors, very little attention has been directed towards the women who live and work with nerd culture on a daily basis. Filmmaker Gina Hara addresses this oversight by delving into a world of professional gamers, cute dresses, fake names, and death threats; she follows her subjects through the exhilaration of newfound community and the ennui of ostracization while also exploring her own struggles with her geek identity. Gina Hara was born in Budapest, Hungary. She is an acclaimed filmmaker and artist with a background in art & technology, interested in the experimental aspects and transmedial forms of visual culture. For the first time in Auckland, Gina Hara will attend a screening of her documentary Geek Girls for a Q&A after the session. Cafe Scientifique Tauranga is pleased to present Flip the Fleet which is a “citizen science” coalition of EV owners that submit data to a communal database each month to measure the constraints and benefits of electric vehicles in New Zealand conditions (www.flipthefleet.org). This talk first highlights opportunities for EVs to revolutionise our transport and economy. It then examines the strengths and weaknesses of citizen science as a research, education and advocacy tool to encourage sustainability transitions and innovation. Prof. Henrik Moller is an ecologist who has transitioned to transdisciplinary research, often involving community-led sustainability themes. With Dima Ivanov, a business benchmarking and IT specialist, Henrik co-founded Flip the Fleet in July 2016. It now has over 800 participants (electric vehicle owners) from throughout New Zealand. Dr Monica Peters, a citizen science motivator joined the Flip the Fleet team this year to guide the public outreach and social networking component of the project. There will be EVs available for test drives at the Yacht Club venue from 6 pm – 7pm and the presentation starts at 7pm. A chance to drive a variety of EVs and talk to their owners then stay on for the talk. $5 door fee to cover venue and AV costs. Register on Eventbrite so that we know the number attending. DO NOT PRINT YOUR TICKET – we only need to know numbers. 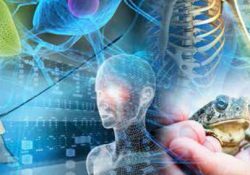 Café Scientifique Tauranga – Facebook. Industry 4.0 – The 4th Industrial Revolution. What is it all about? The first industrial revolution stemmed from mechanisation through the use of water and steam power. The second revolution occurred when electricity was harnessed to power mass production and assembly lines. In recent decades, the third revolution occurred with computerisation and automation in production facilities. Now the fourth revolution is occurring with the advent of smart factories and the use of cyber-physical systems. 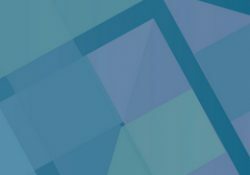 Come and hear about the combination of all the Industry 4.0 technologies: cyber-physical systems – physical assets connected to digital twins – the Industrial Internet of Things (IIoT), data analytics, additive manufacturing and artificial intelligence are employed to convert manufacturing to “the factory of the future”. Industry 4.0 is an event organised by Engineering NZ. 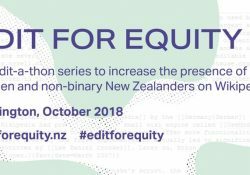 To coincide with this year’s Suffrage 125 celebrations, we invite you to Edit for Equity, a series of Wikipedia edit-a-thons to increase the online presence of women and non-binary New Zealanders. People of all gender identities and expressions are welcome to participate. Each event is themed around a different topic, and you are welcome to attend as many as you like. Each edit-a-thon will start with an introduction from an experienced Wikipedia editor, followed by editing time where you’ll be supported in the editing equivalent of a pick-your-own adventure. (this event will also be celebrating Ada Lovelace Day, an international celebration of the achievements of women in STEM). Beginners are welcome. People of all gender identities and expressions are welcome to participate. Accessibility: all venues have sliding/open door front entrances with a flat entrance or ramp. There is elevator access where venues aren’t on the ground floor (InternetNZ and Ngā Taonga). There are accessible bathrooms at all venues. The Edit-a-thons will be following “friendly space” guidelines; check them out. Harassment and disruption won’t be tolerated, online or offline. Bring you laptop and power cord if you have access to one — we will also have some availiable to use. Note that iPads aren’t quite as easy to edit on. Snacks and drinks will be provided to keep you energised and caffeinated. For preparation and more information please read eventbrite event as well as the the relevant wikipedia meetup for each edit-a-thon. Wikipedia meetup for STEM; Film, TV & Movies; Art & Literature; and, Politics & Social Change. Free and open to all. Register here on Eventbrite for any or all of them..
Wikipedia meetup for STEM; Film, TV & Movies; Art & Literature; and, Politics & Social Change. 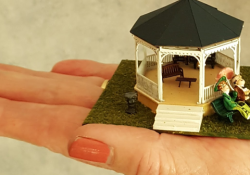 Members of Miniature Clubs all over New Zealand bring their work together every 2 years and show it off. Doll Houses, Miniature items, Room Boxes. The fascination of miniatures lies in viewing life made small. Most of the displays are in 12th scale ( 1 inch – 1 foot) but some are even smaller. We have a lot of talented miniaturists in this country and this is a chance to view their work altogether. There is a completed doll house, which has been donated and worked on in a voluntary way, by members of the Lower Hutt and Kapiti Miniature Clubs. This is being raffled over the weekend. The exhibition is a large one and well worth the visit. The venue has a cafe on site and good parking and wheelchair access. There are also sales tables of miniature items or tools if you want to get started on an absorbing hobby. This event is hosted by the Lower Hutt Miniature Makers and the Palmerston North Miniaturists. The Lower Hutt Miniature Makers meet every third Saturday of the month. It is around 45 members strong. They usually work on a workshop put together by one of the members. It could be making an item of furniture or small items to go into their small houses. It is a chance not only to meet with friends, but to learn new skills. There are miniature clubs all over New Zealand. If you are interested please contact NZAME, the parent of all the clubs to find a club near you. 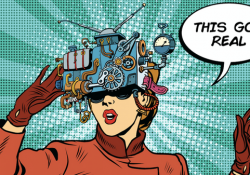 Want to dip your toes into the world of experiential tech’ including Augmented Reality (AR), Mixed Reality (XR), Gamification and Edufication? Then you’ve come to the right place. The way we learn, work and engage is changing fast. Pop-ups may include strategy and actual case studies, but you’ll also get to talk with real people who know stuff, and play with cool real-world examples to take away. It’s capped at 50 people to ensure a quality experience. RSVP is required to access the security floor. Building access set back from Hurstmere Rd. See person at lift for 3rd floor access. Note: Location has been updated from previously published location. Please refer to meetup event for correct details. Panel discussion about the implications of artificial intelligence for New Zealand organisations. Will Browne has been developing artificial intelligence algorithms to learn through their experiences for 24 years in the UK and New Zealand. This includes disembodied tasks, such as data mining, and embodied systems, such as robot navigation. His passion is developing artificial cognitive systems that perceive, represent, reason, learn and act in their problem domain. How these agents can learn from small problems and apply their learnt knowledge to larger-scale and related problems is particularly fascinating. He has presented invited talks on advanced machine learning in MIT, Boston and Microsoft Research, Seattle as well as on machine consciousness in Nokia, Europe. Will is a co-leader of a national science challenge developing intelligent robots for the workplace. Neil Dodgson was, for twenty years, head of the Graphics & Interaction Research Group at the University of Cambridge Computer Laboratory. In 2016, he returned to New Zealand to be Programme Director of Victoria’s Computer Graphics Programme and to bring skills that complemented the already strong computer graphics research group in Victoria’s School of Engineering & Computer Science. He chairs Victoria’s pan-university Digital Futures research theme, which considers how technology will affect society in all its aspects. Akash Jattan has more than 10 years’ experience in leadership, technology and portfolio management in Cloud and Big Data. Taking multiple products from conception to delivery with five products currently in market. He built Australia’s first security focused ‘Big Data Platform as a Service’ product in Telstra. In Qrious as Head of Products/platforms, he successfully implemented the ingestion of 3BN events per day from Sparks mobile networks into a big data stack to service people movement insights and launched a Hadoop-as-a-service product to market. Currently works for Revera helping leverage Big Data technology and helping customers understand and adopt big data solutions in the cloud. He is passionate about technology and product management by delivery value through data. Torrance Mayberry is an Information Technology, science and data engineering professional with more than 20 years of experience. He has developed enterprise software for Business Analytics, Data Warehousing, and Enterprise Resource Planning for PeopleSoft and Informatica Corporation in Silicon Valley. He has developed software with firms like Dynamic Research Corporation, Metis Associates and Annie E Casey Foundation. He has run business intelligence and data warehouse units at InterContinental Hotels Group, General Electric, Westpac Bank New Zealand Limited, and led the data engineering and data scientist pursuits at start-up Antuit, a Goldman Sachs portfolio company. More recently, he has been Data and AI Cloud Solution Architect at Microsoft innovating and driving solutions with partners to generate repeatable customer value and profitability. Abinesh is currently the Client Strategy Director at leading technology talent recruitment firm Potentia Limited, following a successful stint as the Commercial Manager at Health Benefits Limited where he was the Lead Negotiator for the National Infrastructure Platform Programme. This strategic initiative drew upon Abinesh’s significant knowledge, experience and network across the technology domain and the health sector gained through over seven years of senior leadership tenure at healthAlliance (a shared services organisation serving the four northern region District Health Boards’s and one of the largest ICT operations in the country).